After a few days in the Whitsundays, we started south. However, the wind direction did not cooperate so we took refuge in the Newry Islands. We waited a week in the Newry Islands until the wind backed into the northeast, and then set off last Tuesday. We were planning to come to Lady Musgrave Island in one jump, but the sea conditions were poor so we bailed out late Tuesday and found an anchorage at Purdhue Island. Our guide did not recommend this island as a good anchorage but, with wind from the northeast, we found an adequate spot to spend the night. On Wednesday, we set off again and found better sea conditions. Two nights later we came into Lady Musgrave at 7am. We've worked out that this is our eighth visit here since our first in 2009! We like this place! There are a lot of boats here - around 10. I don't know why. In a few days we'll head into Bundy. 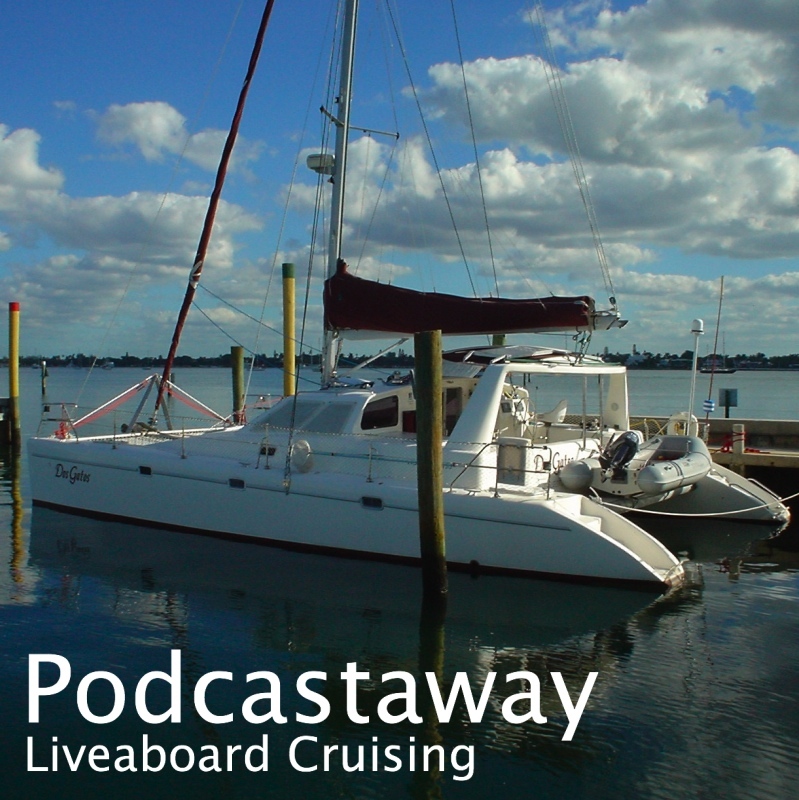 Episode #40 of PodCastaway has been posted to my podcast feed. After a few days in Cairns - for grocery shopping and a meal out - we headed south. We stopped briefly at Townsville for fuel (and another meal out) and then headed on to the Whitsundays. The weather has turned against us a little, so we’ll stay here (and do some diving) until it improves.